Today I'm featuring three charming small gardens, that rarely feature in garden guides, but worth visiting if you're in the area. 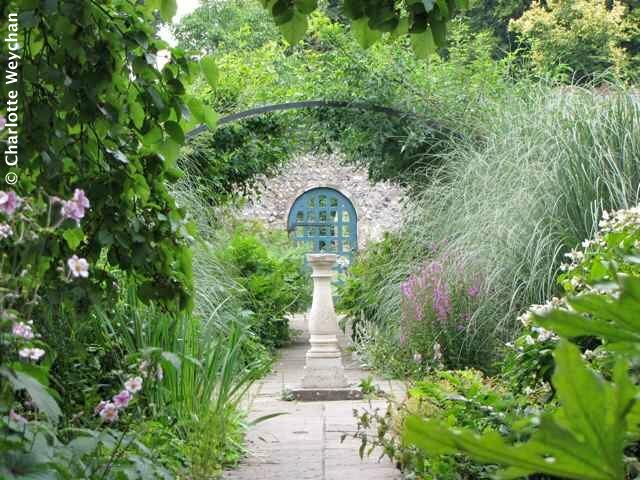 First is the Wellingham Herb Garden (above) near Lewes - only open at weekends, but within sight of the South Downs and near enough to other gardens (Monk's House and Charleston) to stop at en route - filled to bursting with lavender and other herbs (of course) and in the heart of the countryside, away from the hustle and bustle of traffic and it's FREE! 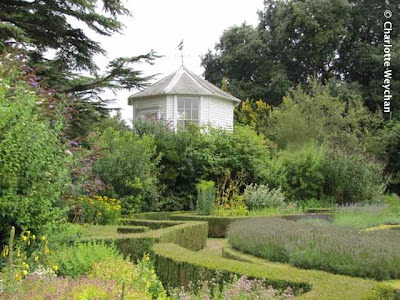 It's a fragrant garden and nursery laid out inside a walled kitchen garden, with a glorious lion statue in the middle. Quite charming! And then there's the secret walled garden at Preston Manor in Brighton (above) - an absolute haven at the edge of Preston Park and looking greatly refreshed after all the recent rain. Can't believe I've never been here before as it's right on my doorstep, but I never found the way in before last week! A great place to stop and pause if you're doing the sights of Brighton, and you can access it from Preston Park or the manor house. You can also do a tour of the manor, which is reputed to be haunted! And another charming small garden I visited en route to Titsey Place earlier this week is The Priest House at West Hoathly, on the edge of the Ashdown Forest. 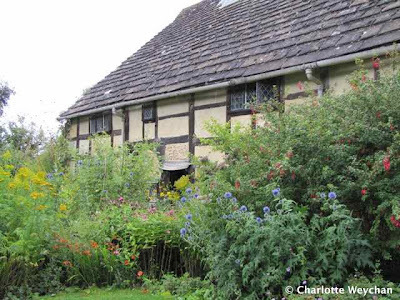 This is a cottage garden surrounding an ancient timber-framed house (above), in a sleepy English village, complete with manor house and church. You won't stay long here, but it's the quintessential cottage garden, worth sneaking a peak at if you're in the area and you can always stop at the village pub for lunch. Delightful Charlotte gardens after my own heart. Oh, I want to visit each one Charlotte! Beautiful!